Handi-Foam® P30115 Gun Foam Sealant is designed to seal and fill small cracks, gaps and voids. 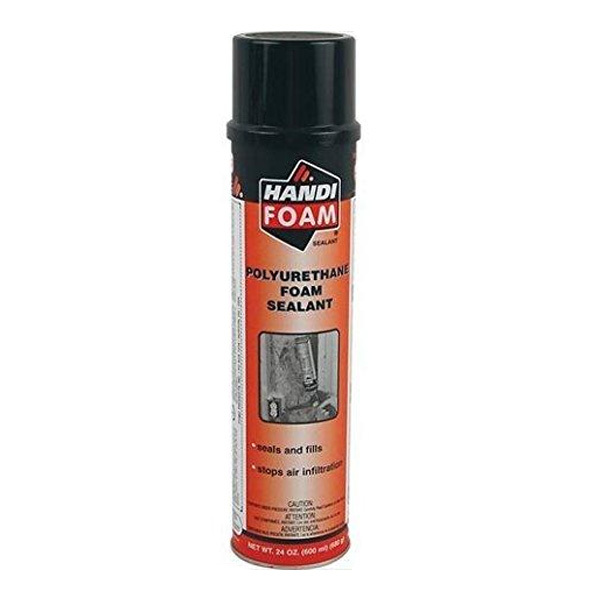 This Handi-Foam® sealant can be applied with either the HT300 or HT500 professional dispensing unit. The P30115 Handi-Foam® Gun Sealant is ideal for projects that require you to apply the sealant from day to day. Optimum application temperature is between 65-80 F (18-27 C), however, Handi-Foam¨ Extreme Polyurethane Gun Foam will cure in temperatures below 0 F (-18 C), and will provide a high flow rate and unsurpassed performance in cold temperature, due to the low viscosity and robust formulation. Cured foam is resistant to heat and cold, -200 – +200 F.
Wear protective glasses or goggles, nitrile gloves, and protective clothing. Use in a well-ventilated area.This product is for PROFESSIONAL USE ONLY.